This is a online resource and not a physical product! You will be able to view this product via web streaming, as soon as your payment is received. This product is therefore immediately available and no postage is required. Find this video under MY PROFILE > MY COURSES, in the top right corner on the home screen. 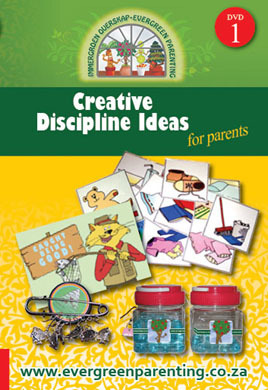 More about the product: The word “discipline” stirs-up mixed emotions, but these videos will equip parents with positive, light-hearted and constructive ways to correct behaviour in young children. One of the most common questions asked by parents, is: “What alternatives are there to smacking my kids?” There are many, and although painful punishment is Biblical, and goes a long way, the Bible also teaches us to love unconditionally, to instruct and to train. We all know how to use the wooden spoon, but there are other tools that contribute to the development of character in our children. This short course teaches parents how to use these creative alternatives. If you have done the Evergreen Parenting Course by Hettie Brittz (writer of Growing Kids with Character, Growing Kids through healthy authority and “Kweek Dissipline met Deernis”) – this short course is a great addition to enhance your discipline tools.